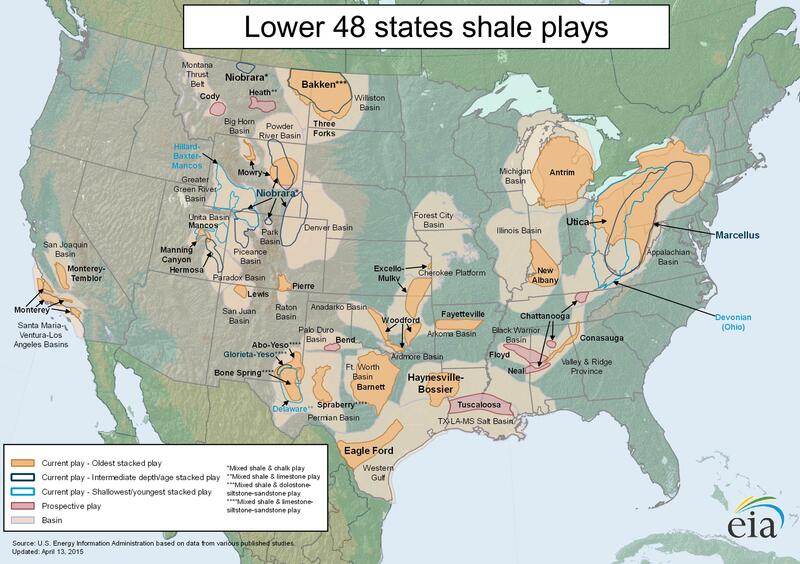 Source: U.S. Energy Information Administration based on Bentek Energy, LLC. Note: Rest of Northeast includes KY, MD, NY, OH, TN, VA. In the Northeastern United States, natural gas production has grown rapidly since early 2009 as a result of increased drilling activity in the Marcellus Shale. The largest production gains have occurred in Northeastern Pennsylvania, with noticeable increases also in Southwestern Pennsylvania and West Virginia. According to Bentek Energy, LLC estimates, natural gas production in West Virginia and Pennsylvania now averages almost 4 billion cubic feet per day (Bcf/d), more than five times as much as the average from 2004 through 2008. 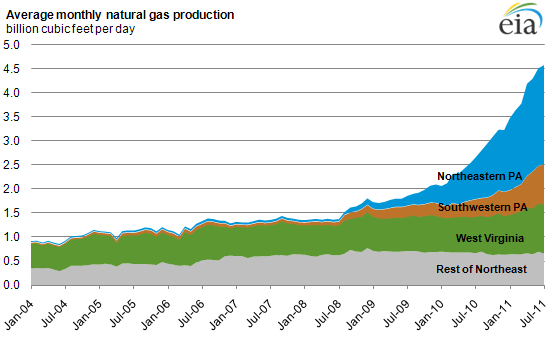 It accounts for over 85% of total Northeastern natural gas production. Production in Northeastern Pennsylvania recently passed 2 Bcf/d, up from just 0.4 Bcf/d at the start of 2010. In Southwestern Pennsylvania, production is over 0.8 Bcf/d, more than three times the level at the beginning of 2010. In West Virginia, production has grown over 40% since January 2010 and recently surpassed 1 Bcf/d. Production in the rest of the Northeast has been roughly unchanged since 2007.